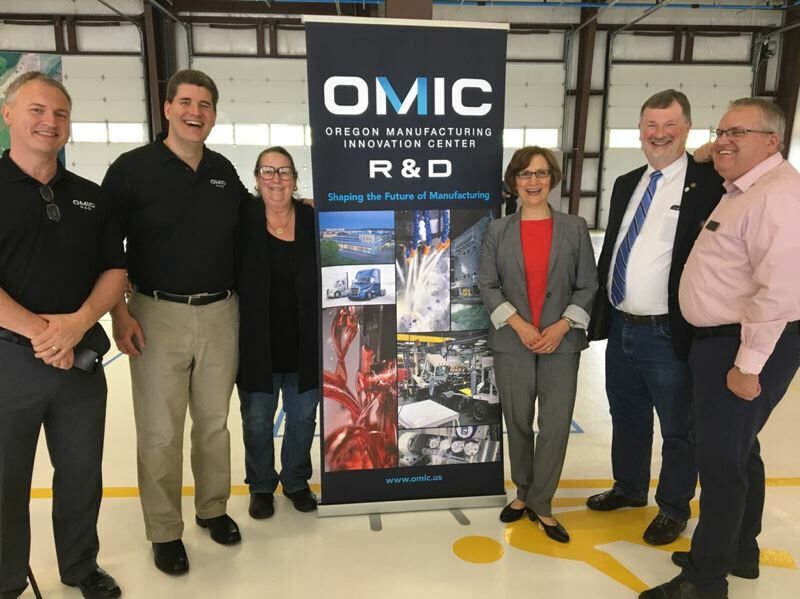 Oregon Tech, which oversees operations at OMIC, describes the equipment as "a multi-purpose machine that can produce a finished part without needing to move it from machine to machine." Friday's OMIC tour also featured a visit from Sylvia Kelley, executive vice president of Portland Community College, and Doug Hayes, executive director of the Port of St. Helens. PCC is slated to acquire and build a new training center adjacent to OMIC. It's unclear when that building will come to fruition, but in the meantime, OMIC continues to acquire paid partners. To date, the center has executed membership agreements with 14 manufacturing companies. "OMIC is the most exciting economic development project I've seen in years, and it will be transformational for Columbia County," Bonamici stated after the tour. "As our economy continues to recover, too many families and workers are still struggling. OMIC is on track to create good-paying jobs and training opportunities in our communities, and it will foster cutting-edge innovation in manufacturing that will benefit our region and our state. I'm committed to advancing OMIC, supporting workers and businesses, and growing our economy."